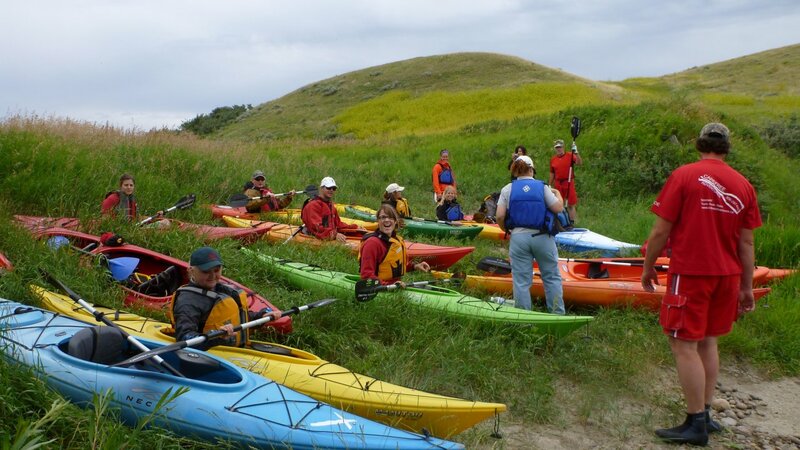 * Explore the natural wonders of Grasslands, and view wildlife from the safety of your kayak. 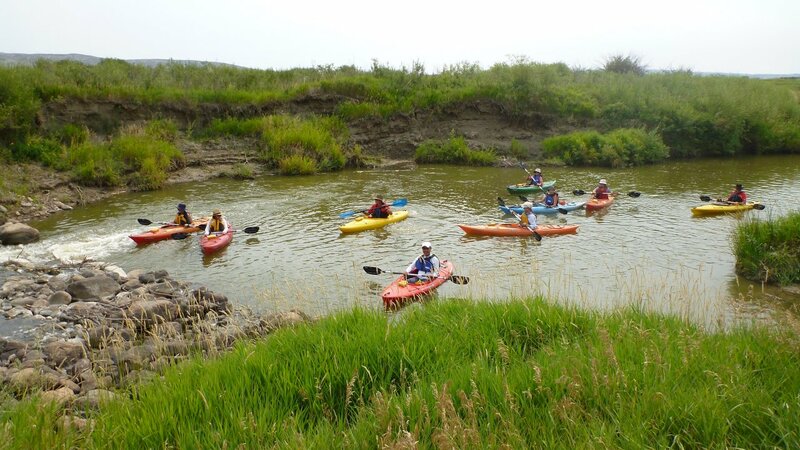 Explore Grasslands National Park through the vantage point of a kayak on the Frenchman River. Join professional tours guides with Carefree Adventures on this epic 2.5-3hr journey through the wonders of Grasslands. Search for some of Canada’s rarest prairie creatures, from the majestic Plains Bison to the prehistoric Short-horned lizard, and the cute and elusive Burrowing Owl. 9:30 am - Arrive at Belza Day Use Area. Park vehicles and board bus to kayak area. 9:45 am - Get fitted for life jackets, kayak and paddle. 10:30 am - Launch for 2.5 to 3 hour trip against the current and back to launch site. With lunch break. 2:00 pm - Board bus to return to vehicles. 9:30 am - at Belza Day Use Area off the Eco-Tour Road in Grasslands National Park. Click HERE to see a Map of Grasslands National Park. 2:00 pm - at Belza Day Use Area off the Eco-Tour Road in Grasslands National Park. * Footwear designed to be worn in water ( please avoid "flip flops" as they tend to float away). * A change of clothing (there is a possiblility of getting wet!). * kayak, personal floation device, and safety equipment. Where trips are cancelled due to weather or safety concerns by Carefree Adventures, every effort will be made to rebook you on a subsequent tour. Where rebooking is not possible, Carefree Adventures will refund your booking fees 100%. Those who cancel with less than 72 hours before your scheduled trip departure, a fee of $50.00 will be charged for each participant. Those who cancel with 72 hours of notice or more, a fee of $25.00 will be charged for each participant.